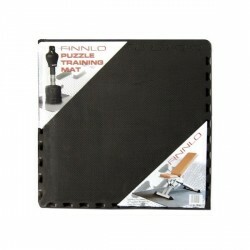 A leg press can be optionally mounted as accessory; it is not included in delivery! 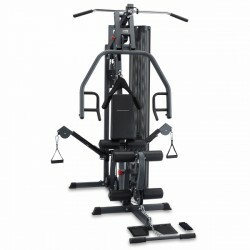 Due to an easy connection of free cable pulls with the chest press, the set weight block resistance is doubled. Thus the maximum resistance ofr bench press, i.e., is 180 kg! 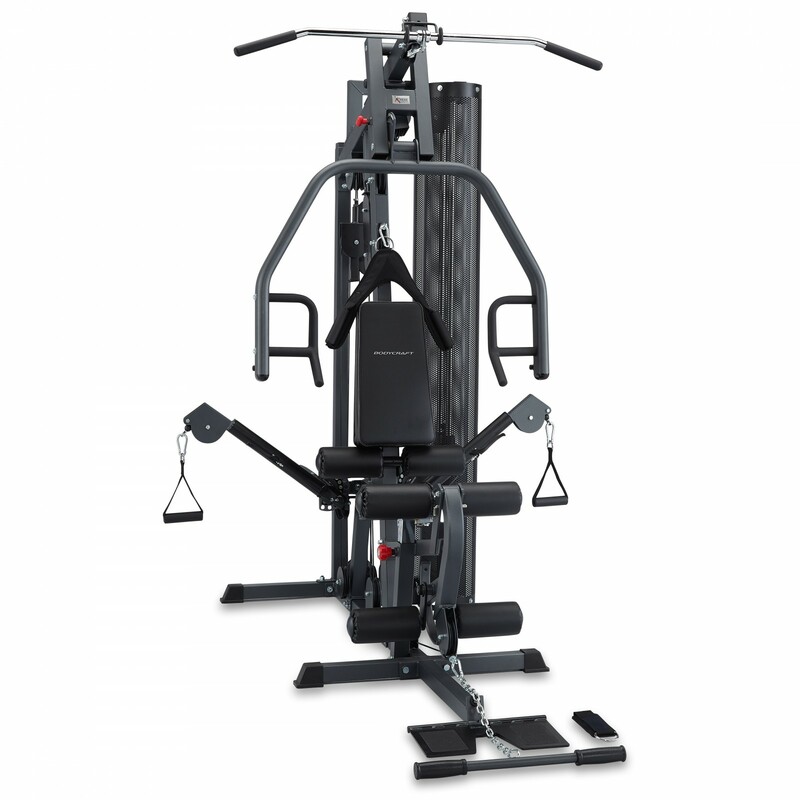 The BodyCraft multi-gym X-Press pro allows numerous exercise and training possibilities on a small space. This multi gym features an innovative cable control module with adjustable training arms. Thus, the BodyCraft multi-gym X-Press pro allows rehabilitation exercises and specific sports training. The multi-gym X-Press Pro which is designed as single training space offers a combination of six different training modules (chest press, rowing machine with chest support, leg curl, lat pull tower, rowing, cable control). Bodycraft Leg Press for the Xpress Pro In stock! 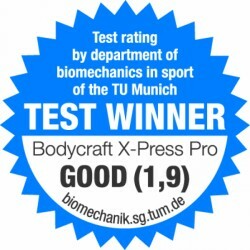 BodyCraft multi-gym X-Press pro add to comparison list.